Having moved to Hollywood in 2006, in order to service that primary nexus of the American film industry, George Glasgow Jr – CEO and Creative Director of London’s finest bespoke shoemaker George Cleverley – now divides his time between London and Los Angeles. As eternally affable as he is debonair and dapper, Glasgow is also unfailingly zealous when it comes to the family business and its extraordinary craft. Has there been any major catalyst moment in your career path? Yes – about 11 years ago. I was living in London, and I noticed something odd: that when it came to America – whether it was bespoke tailoring, banking, whatever – everyone was focussing on New York. I couldn’t understand why LA and San Francisco didn’t get the same love from all these brands and organisations. A friend of mine Michael Chow, of Mr Chow restaurants fame, had mentioned to me and my father that his LA outlet remains his most successful, profitable restaurant. So I took the plunge and decided to go out to Los Angeles. At the time there was no Berluti, no John Lobb – and yet there is so much money there, and so many stylish people. Our client base doubled almost instantly. 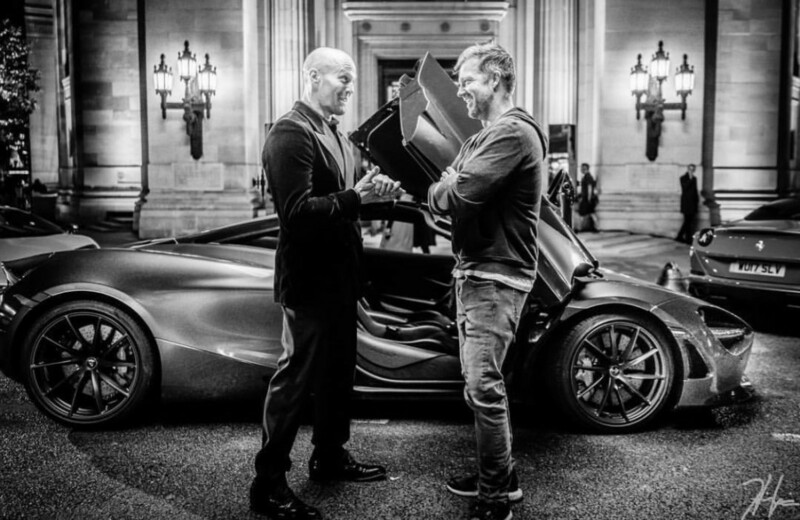 We’re now working with Dwayne Johnson, with my friend Jason Statham, and we’re working with Kenneth Branagh, designing an entirely new collection for Murder On The Orient Express. We’re also collaborating with the new Kingsman movie. Did American operations expand from there? Yes. Once we’d picked up some stuff in LA, we went up to San Francisco, and we’ve now got people like Tim Cook and Jony Ive at Apple, and we’ve got a lot of directors at Google. It was the moment I moved to California that I realised I was onto something. It’s just such an amazing luxury market. Now, a lot of brands have gone there and opened up. Did the move to US – and the West Coast in particular – impact Cleverley’s creative credentials? Absolutely. We now make more Chelsea Boots, more loafers, dress shoes, slip-on boots – it doesn’t have to be black calf-skin Oxfords; it can be brown suede chukka boots, lizard-skin loafers, unlined suede loafers. It can be a whole variety of things, and California – particularly Los Angeles – is one of the biggest economies in the world and was, when we moved there, an as-yet untapped market. So that turned out to set everything in place, both as a company and for me as an individual. Has the nature of luxury changed? Massively. People used to see the word “luxury” as being synonymous with “expensive”, whereas over the last four to five years it’s become the case that an expensive price tag alone does not denote luxury. To my mind, nothing mass-produced can be deemed luxury, whatever the price tag. Made by hand, by craftsmen, in small quantities, harder to find, unique – that’s the new luxury. A business like Patek Phillipe is, as a business, so, so strong because of how they keep something like the 5711 unique and rare – they don’t flood the market. Things being made for longevity is also important: it’s not enough to “break shoes in” – they should become like your old friends. When you’ve had a pair a long time that are so comfortable, you’re so used to them, you should hate the idea of ever parting with them. In what situations do you get your best creative ideas? I find that I get my best ideas when I’m working out, or doing a spin class. Even when it came to the speech for my recent wedding, I put it together entirely – including rehearsals – during spin classes. It’s the same with work: whenever I’m thinking about a new trip, a new trunk show, a new talk, a new style, a new range, I don’t know why but I find that going for it on the bike makes ideas pop into my head – to the point where I can’t wait for the class to finish so I can jot down everything I’ve been thinking about. What are the common misunderstandings about bespoke shoemaking? These shoes take nearly 100 man hours to make, with five different highly-skilled craftsmen involved. Particularly in the modern era when everyone wants everything in ten minutes, it can be hard to explain that they’re not made by machine – they’re made by hand. The drying out process alone takes a week – there are English and Italian factories (I won’t name them) who dry out a shoe, after its making, in the space of 15 seconds. It takes us a week, because we leave each shoe to dry in its natural environment. This makes the stitches more robust; it allows the shoe to mould around the last in the correct way at its own pace. Intense heat for the sake of getting it done so that you can shove the next shoe onto the last just isn’t conducive to durability, to quality. Has the Hollywood involvement boosted Cleverley’s profile? In a big way. 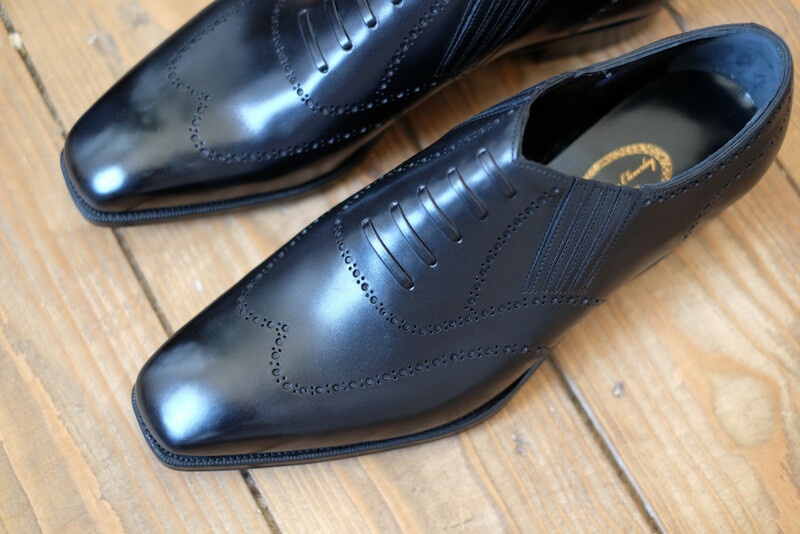 Cleverley has a historical relationship with Hollywood – we made shoes for Humphrey Bogart, Carey Grant, Fred Astaire. A lot of luxury brands pride themselves on their past, and we’re fortunate to have an incredible past, but probably a better present and future because of the people we’re attracting. The Tinseltown connection started off with mostly English guys such as Jason, Hugh Grant, Colin Firth. Then, organically, it grew – Jason bought Silvester Stallone in seven or eight years ago, and he’s now probably our biggest and best customer in Hollywood. Is the Hollywood contingent more ‘outré’ when creating footwear with you? When people think of Hollywood they think Oxford brogues and so on, but we’re getting requests for stuff like suede boots in oxblood calf – all sorts of combinations. These are guys who, when they’re jumping out of aeroplanes, want to jump out of aeroplanes looking good. Then you get things like Kingsman – a secret service, double-o agent kind of aesthetic and so on – and those guys want to look sophisticatedly British. Do the creative forces in the costume departments appreciate the time-frames required with bespoke shoes? Increasingly. The guys working on Kingsman: The Secret Service started preparing wardrobe nine months before the movie started shooting. The costume designers are now well-educated in the bespoke/handmade world and know the process has to start early. It’s wonderful that we’re getting actors like Kenneth Branagh now starting to say: “I want to wear Cleverley in this.” We’re always confident we can create and deliver the look they want – we just need ample time for preparation. Which is good on both sides. Why are actors so keen to wear stunning foot-wear on-screen? Some actors do a huge amount of research into their characters and how they want them perceived. They’ll look at hundreds of different styles and put together a look they feel is appropriate for thatcharacter, thatmovie. Daniel Day-Lewis came in a year-and-a-half before he began filming Phantom Thread to start preparing his look, and brought along the director Paul Thomas Anderson and the costume designer Mark Bridges – 18 months before filming! We sat down and examined looks, styles, how things could be made, how they would look and fit. 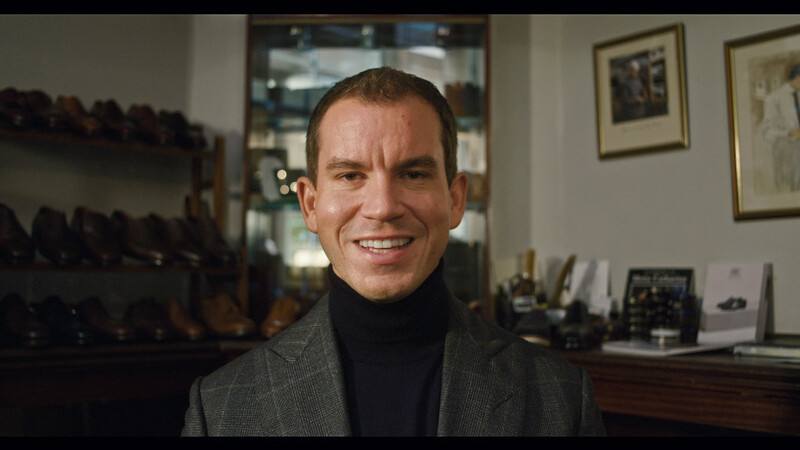 we worked with Sir Daniel Day-Lewis on Phantom Thread making all of his shoes for the film – in which my father George Glasgow Sr, the company chairman, incidentally, played Day-Lewis’s character’s advisor. Does all this diligence come across in the final cut? What’s the most outlandish commission you’ve been approached with? One guy, a non-celebrity client, asked us to make an empty compartment within a removeable heel that clicked into place – which we obviously refused to do. We made a shoe with a quick-release spring making a knife pop out of it for the first Kingsman movie. 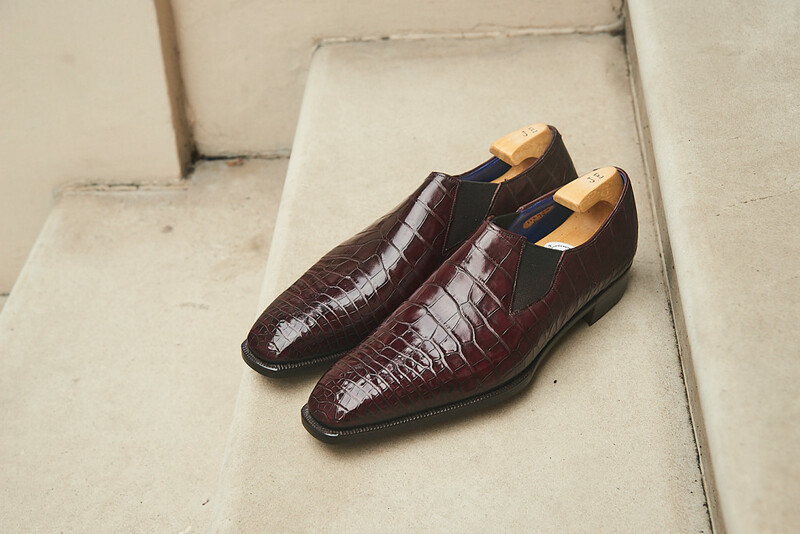 And we also made a pair of red alligator-skin clogs for a chef in San Francisco – he strolls around the kitchen in those while preparing filet mignon, and they’re his pride and joy. What are your favourite luxury items? Shoes and watches are timeless and can be passed down the generations. One customer told my father that one of this pairs of shoes had lasted longer than three of his marriages. Certain brands and styles of wristwatches are iconic and timeless – the likes of Rolex and Patek Phillipe, whilst they bring out new versions and new models, icons like the Nautilus go back years: colours and other details might change but the styles, as with my shoes, remain basically the same. Other personal favourites for me are cufflinks – I don’t have many but those I do own are important to me: notably a pair of 18-carat boxing glove ones given to me by Sylvester Stallone; I got married last week, and my wife gave me another pair from Boodles – hand-carved and engraved with the date – so they’re obviously previous to me too. I also have a pair from Harry Winston with moving dials on them.